Lemon Herb Potato Salad With Peas Recipe | What's for Dinner? 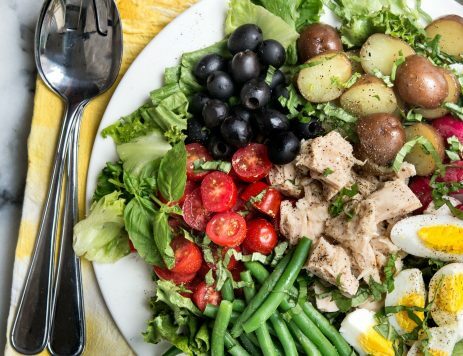 Add a hint of spring to your potato salad! 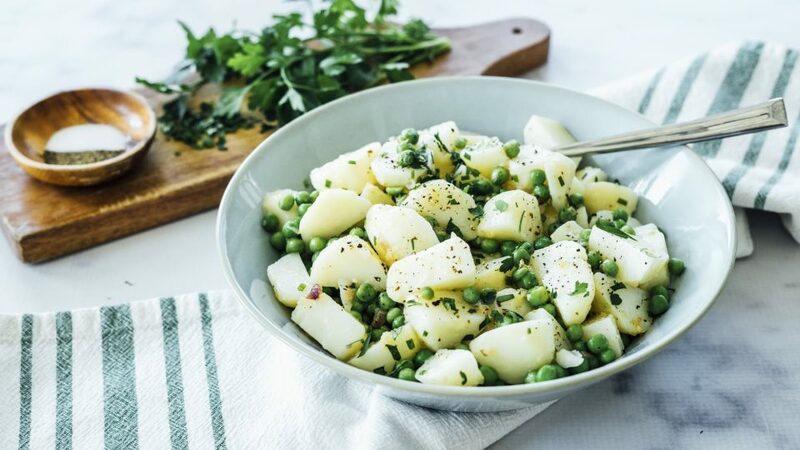 The bright flavors of lemon, chives and fresh green peas all come together in this delicious recipe for Lemon Herb Potato Salad With Peas. Boil potatoes in salted water for 18-20 minutes, or until tender. Drain, dry and allow to cool. Peel away skins and cut potatoes into large dice. Set aside. Heat oil in a medium skillet and cook garlic and shallot over medium heat until soft and translucent, 5 minutes. Reduce temperature to low. Meanwhile, cook peas in boiling water for 2-3 minutes, then drain well. Add potatoes, peas, chives and vinaigrette to onion mixture and toss to combine. Remove pan from heat and cool to room temperature. Season with salt and pepper, to taste. 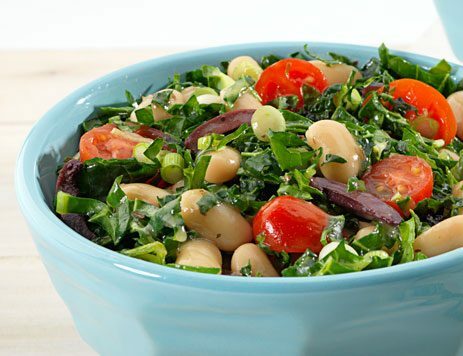 Sprinkle with parsley and serve at room temperature.